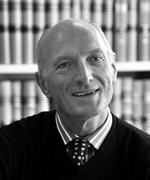 Justice of the Constitutional Court of South Africa and an avowed Human Rights Activist, Edwin Cameron was the first senior South African official to state publicly that he was living with HIV. Inspired to act by the stoning and stabbing to death of Gugu Dlamini after she had admitted on a Zulu language radio that she was HIV positive. Nelson Mandela dubbed him: “One of South Africa’s new Heroes”. Justice Cameron is the author of “Witness to Aids” a moving memoir of his own survival in an epidemic that has cost millions of lives. Sue Wildish spent 20 years spent working in the Music Business in the UK and US. 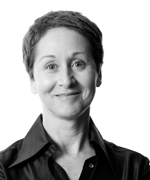 Her experience at both operational and executive levels in large, multinational organisations has enabled Sue to amass a wealth of insight and first-hand knowledge of strategic business management, leadership and people development. 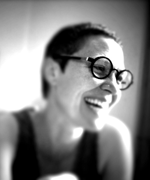 On her return to South Africa in 2006, Sue retrained as a Counsellor and Facilitator and at the South African College of Applied Psychology. As Programme Director for Positive Heroes, she runs the day-to-day operations of the organisation – applying her experience in publicity, promotions, finance, research and marketing to planning and implementing the charity’s initiatives and spear-heading fundraising activities. Co-founder of Positive Heroes, Gavin is passionate about HIV and solution-focused approaches to social entrepreneurship, development and life. 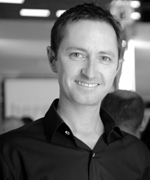 In his work with the Global Network of People Living with HIV (GNP+), Gavin provides technical support to national networks of people living with HIV (PLHIV) in eleven countries around the world. Gavin believes in the ‘learning by doing’ concept and empowering PLHIV to take a central role in HIV prevention, testing, treatment, care and support. 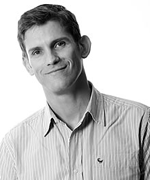 Gavin is an experienced Coach and Counsellor and has lectured the HIV module at the South African College of Applied Psychology since 2008. He has lived in Cape Town, South Africa since 2002. Brooke Auchincloss is an internationally renowned photographer working primarily in the advertising and editorial fields and specializing in images of people and spaces. She has also worked extensively in television and film and has a portfolio of blue chip Clients across the commercial spectrum. Since falling in love with South Africa and moving to Cape Town in 2003, Brooke has turned her talents to working with various Charities. She is involved in many pro-bono projects including Vuka’s award-winning AIDS awareness short film ‘Beautiful’; several projects with the Starfish Foundation for Rutger Hauer and personal projects in Khayelitsha. 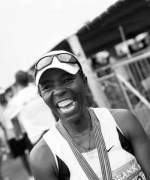 Accomplished marathon runner and mountaineer Evelina Tshabalala isn’t a “give-up” kind of woman. She’s a fighter and a winner. “Even though I’m HIV-positive, I’m stronger than normal people,” she points out. “I do things that most normal people can’t do.”Like summiting the world’s highest mountains including Mount Kilimanjaro and Mount Aconcagua in Argentina, the highest peak on Earth outside of the Himalayas. And like leading the five person Positive Heroes HIV+ Ultra-Marathon team in the Two Oceans Ultra-Marathon (56km) and the Comrades Ultra-Marathon (89km) and Soweto Marathons (42Km) each year. Evelina was the inspiration for Positive Heroes – and has become recognised throughout South Africa as an HIV role model and committed community activist.